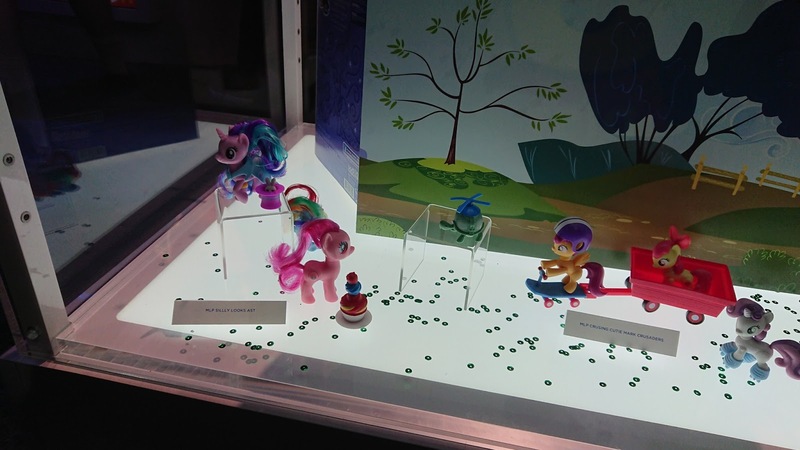 We start off at Hasbro's stand, where everything is on display in glass cases. 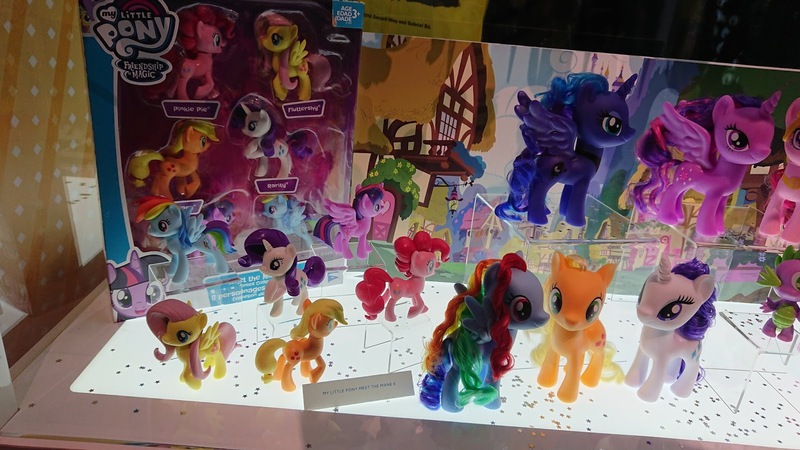 A lot of attention went to the Cutie Mark Crew figures, which are pretty much all stalled out, including series 2 figures. 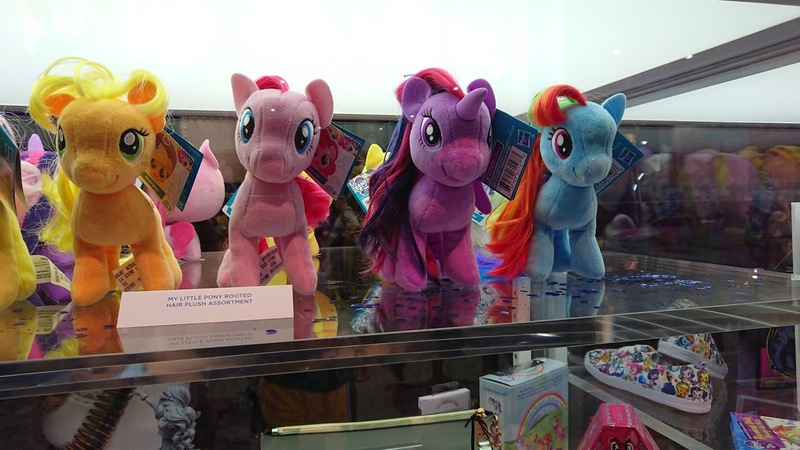 Such a colorful bunch! 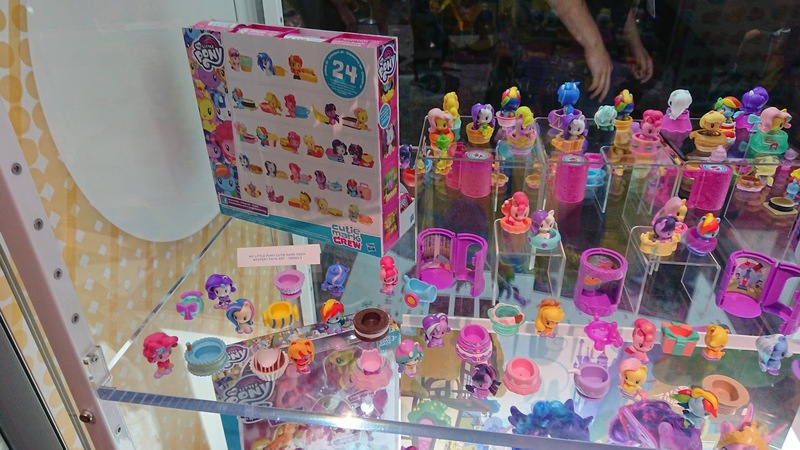 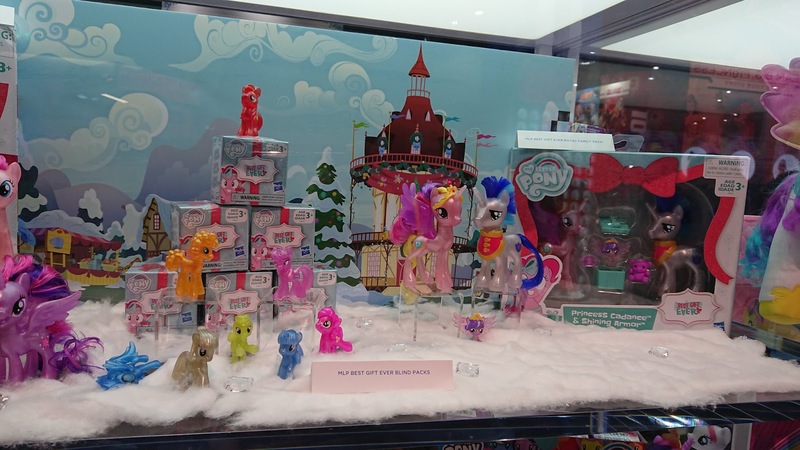 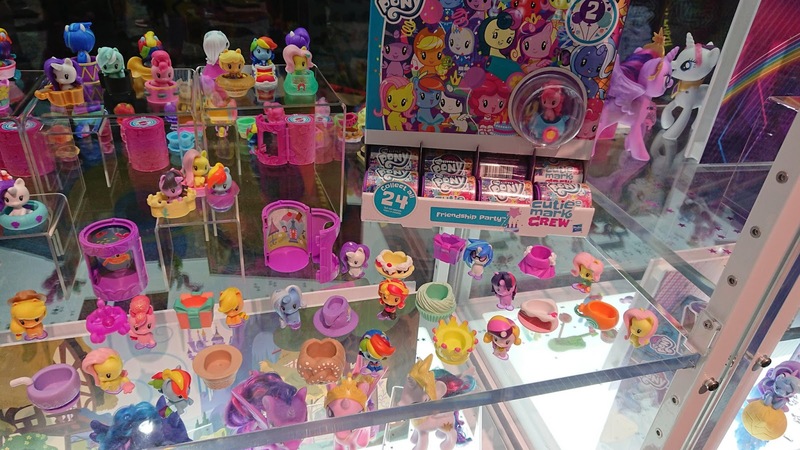 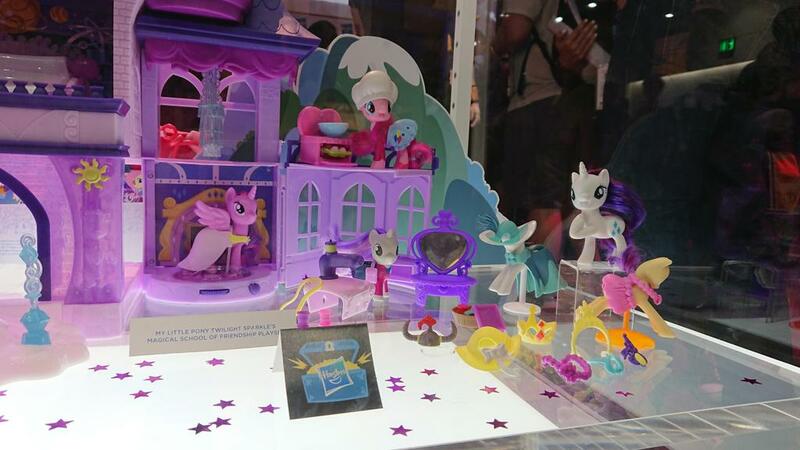 Another large section of the MLP stand went to the Best Gift Ever series, which will be released later this year and feature metallic brushables and blind bags. 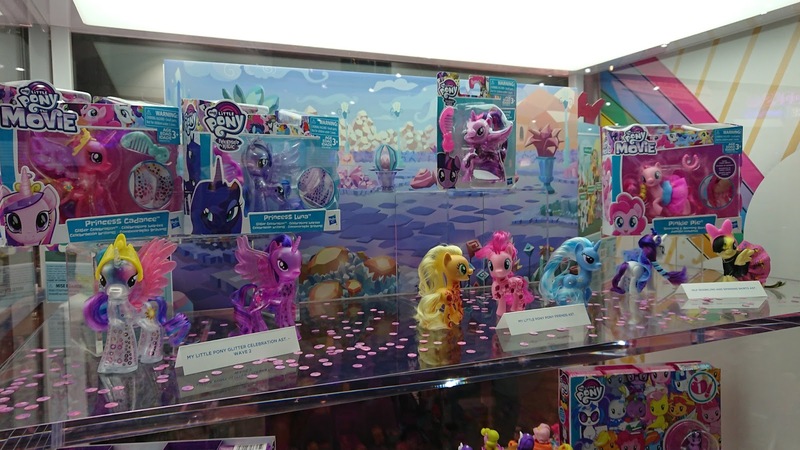 One display case was dedicated to several brushables, FiM collection sets and of course the Ultimate Equestria Collection and Meet the Mane 6. 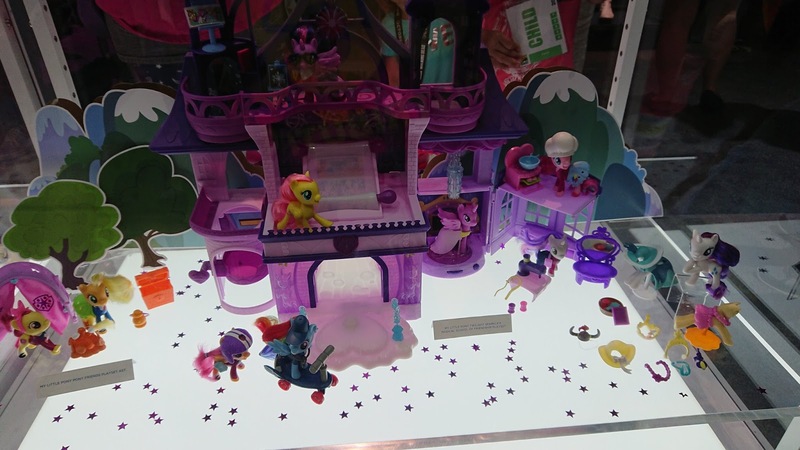 But perhaps most interesting is the School of Friendship display which shows us more of the school outfit ponies! 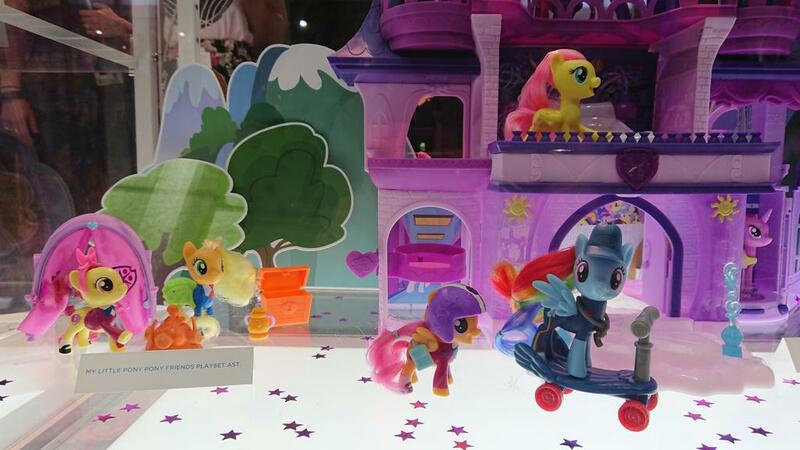 New reveals are Pinkie Pie & Applejack with school outfit and Rainbow Dash with a coach outfit. 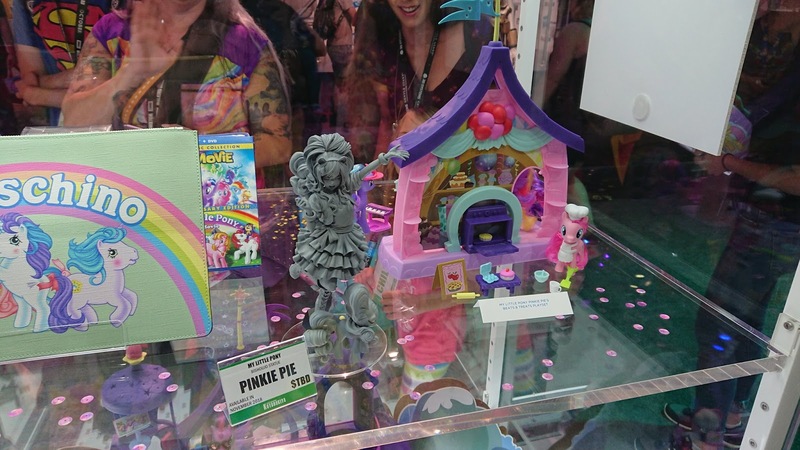 On the exclusive side of the brushables we can of course find the SDCC exclusive of this year: the 1983 Greatest Hits Collection featuring 80's versions of Rainbow Dash, Twilight Sparkle and Pinkie Pie. And if you can't attend the SDCC this year, don't be afraid: They're already listed at HasbroToyShop! 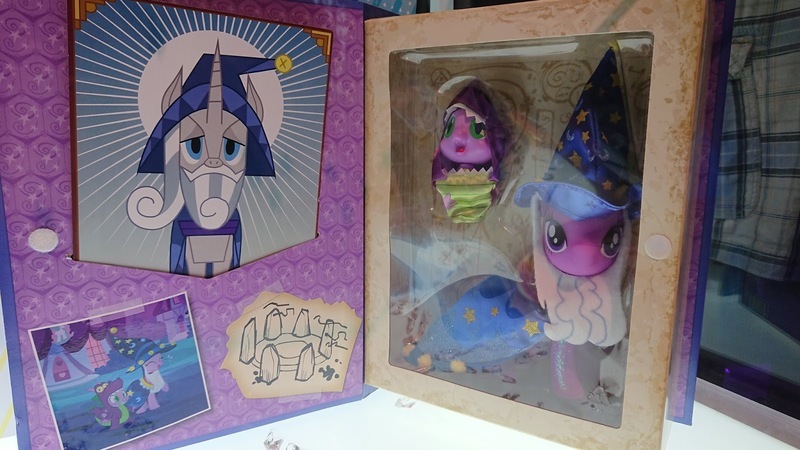 Another exclusive that was on display is that of Amazon, with the Twilight Sparkle as Starswirl the bearded "book". 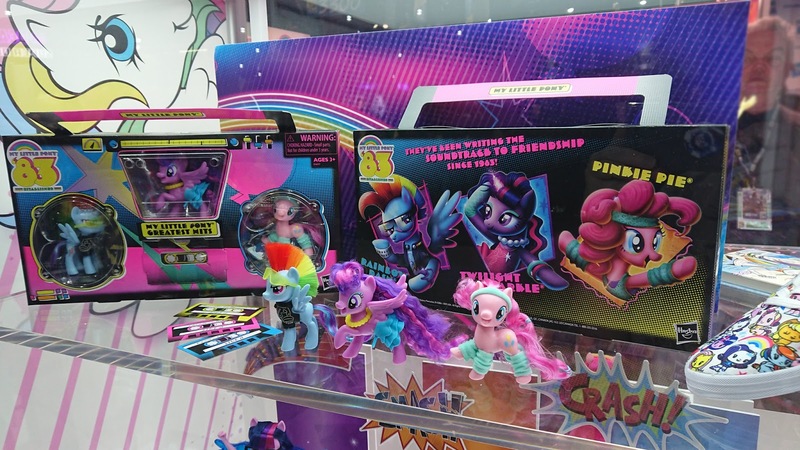 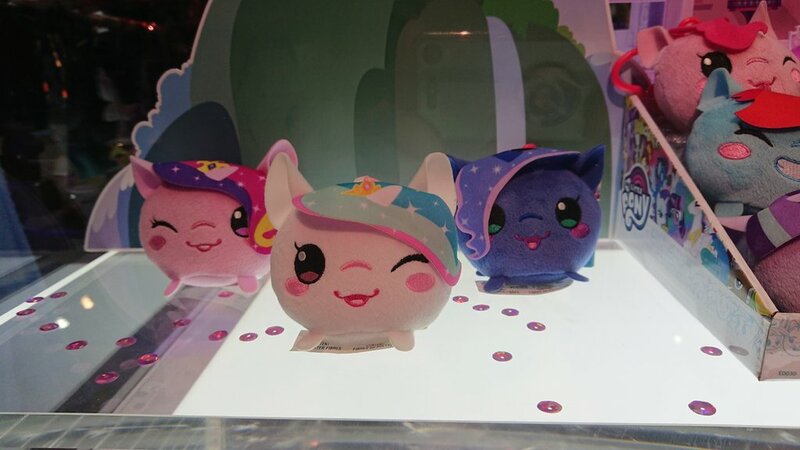 This set, in which Spike is included too, is not yet available, but can be pre-ordered on Amazon.com. 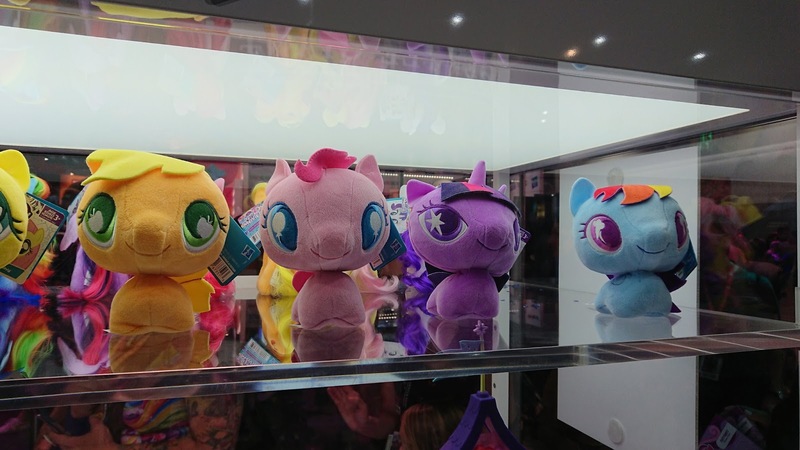 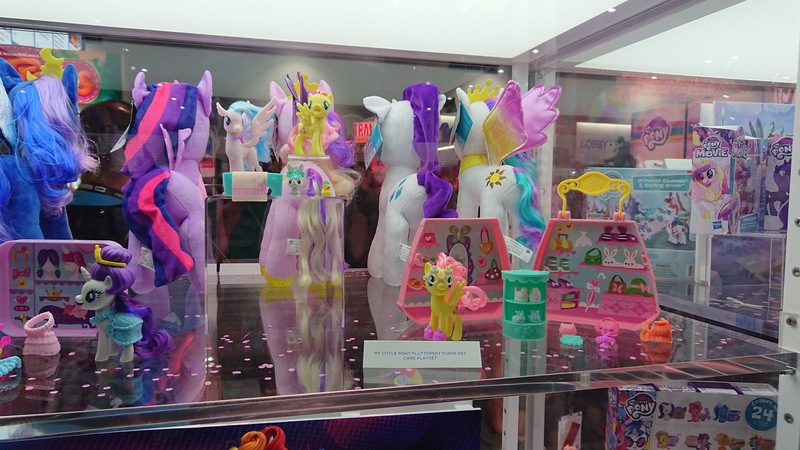 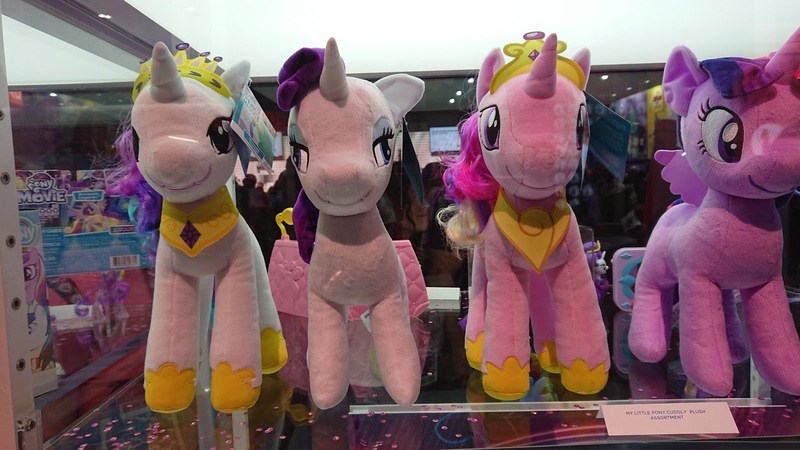 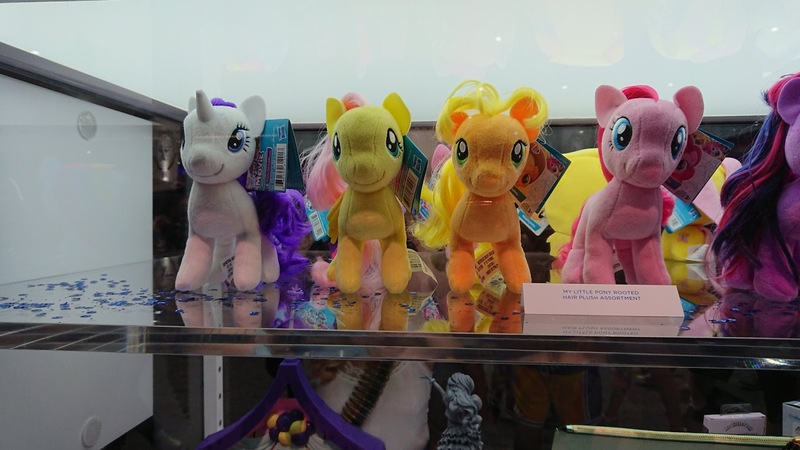 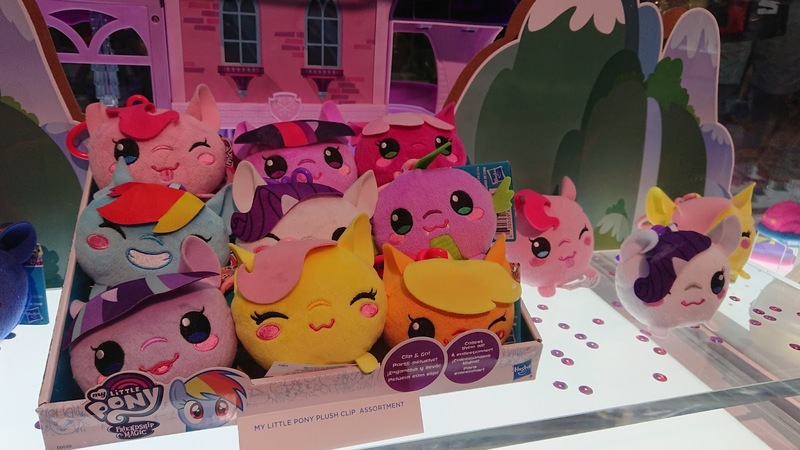 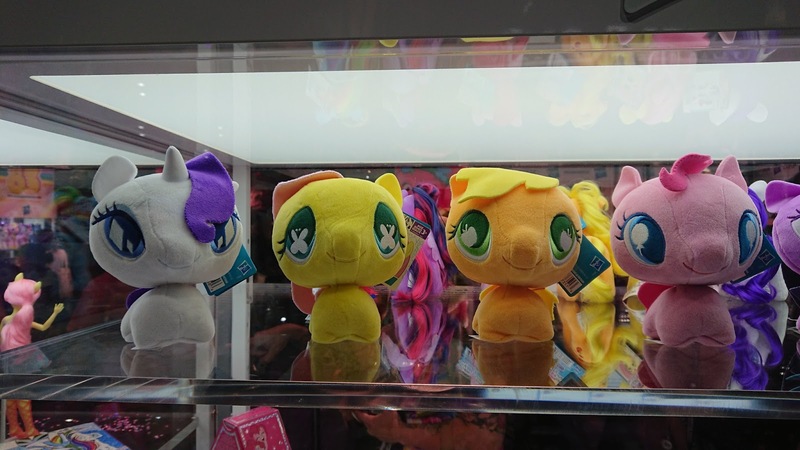 Hasbro is still pushing a lot on their own line of My Little Pony plush, so they're present on this stand as well. 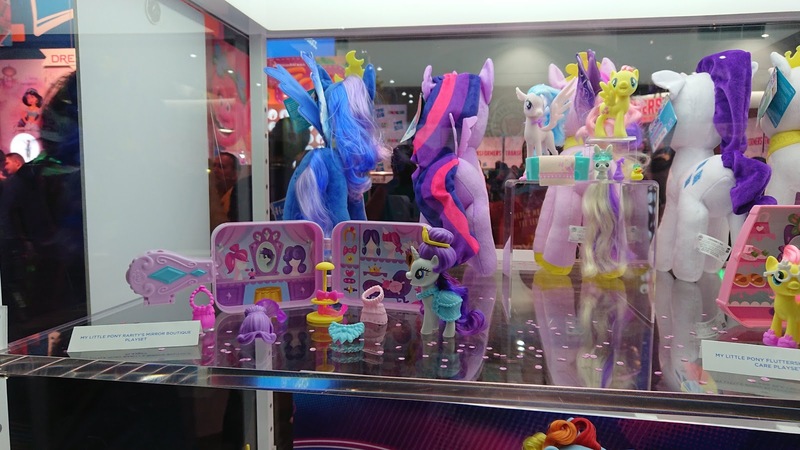 Seen are the 12" cuddly plush, 6" bobble head plush, 5" brushable hair plush and the clip-and-go assortment. 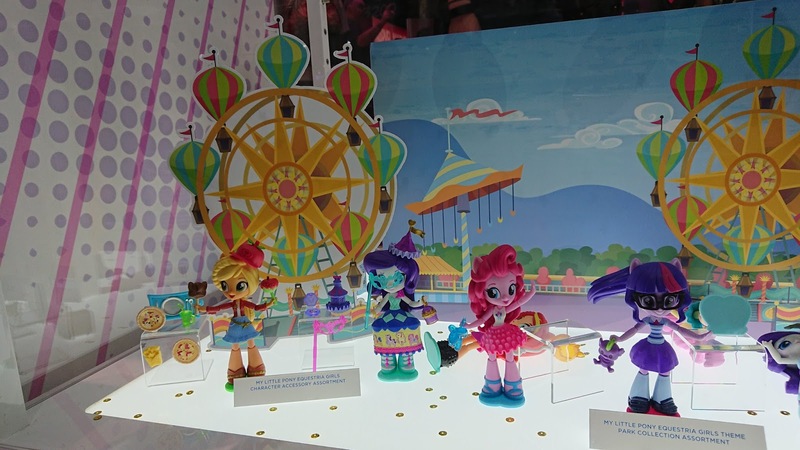 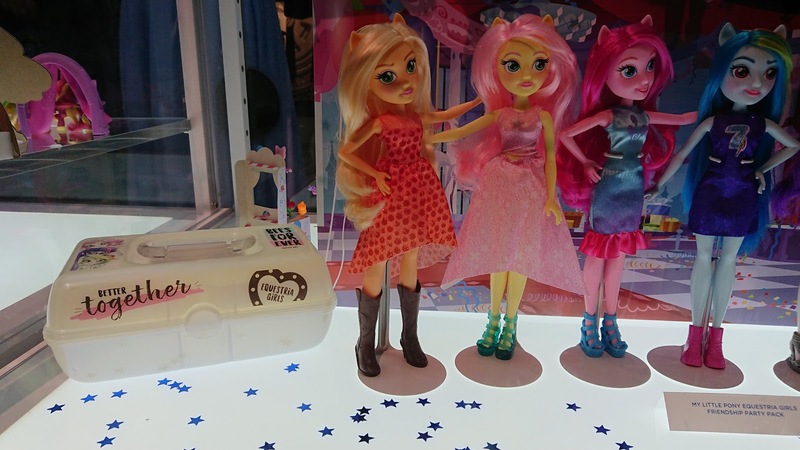 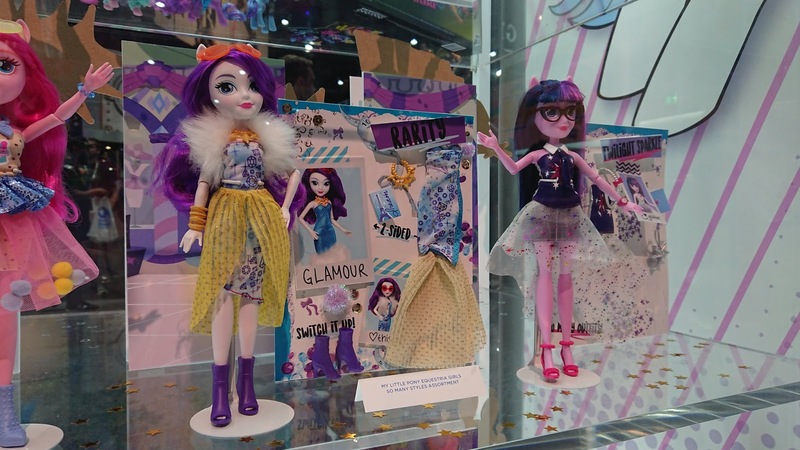 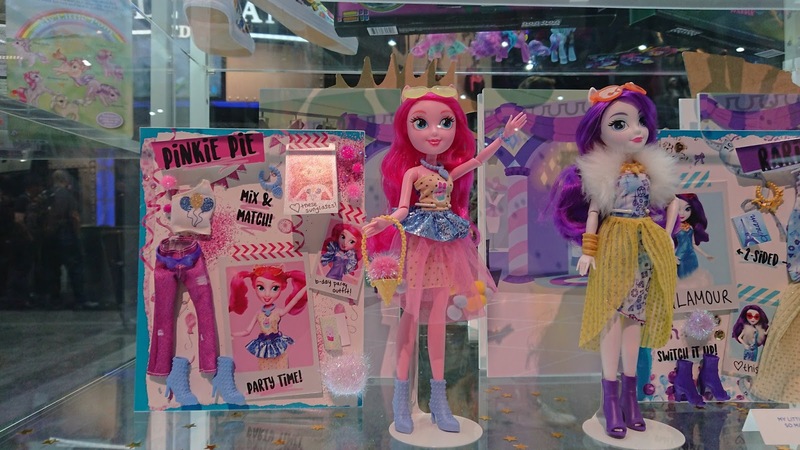 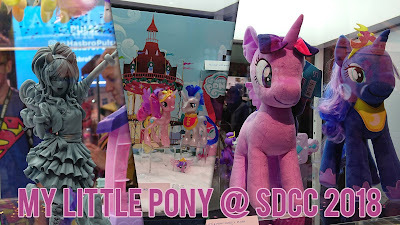 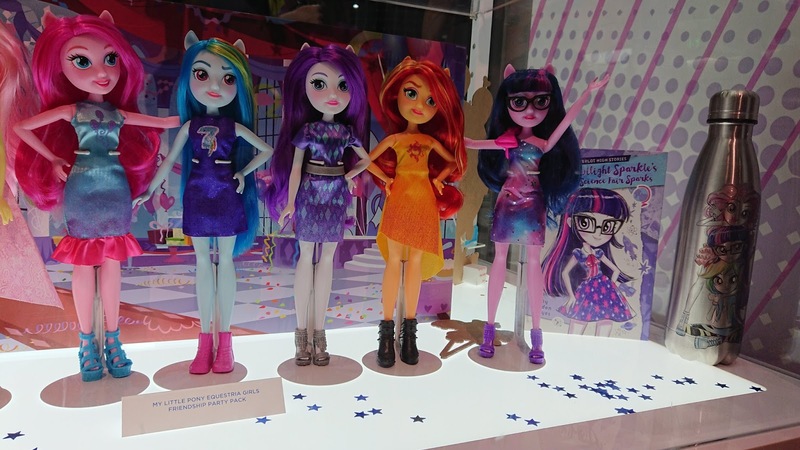 Equestria Girls is still going strong with the continuation of the Equestria Girls Minis line and rebooted Equestria Girls dolls, which were both in display at the SDCC. 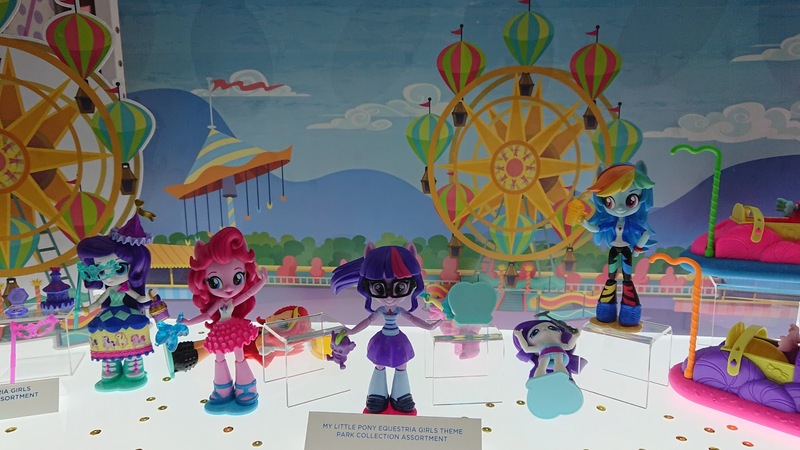 There aren't any new figures here as far as we can see, but they created a nice display of the current line-up (except for some figures that fell over during the day!). 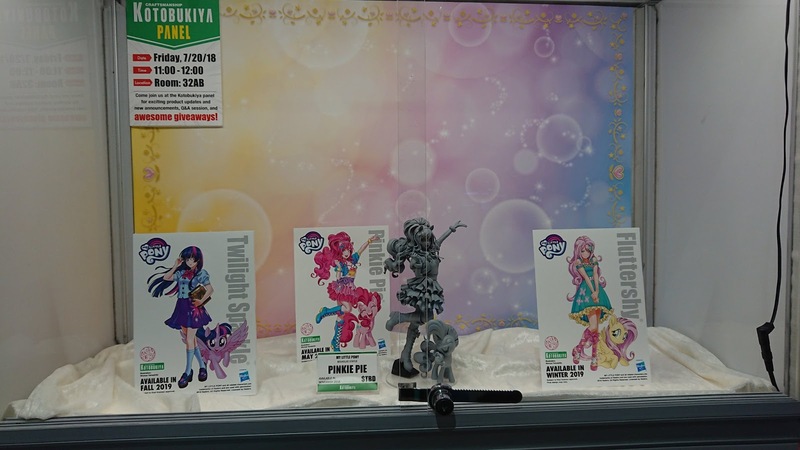 And then we're finally at the display that includes Kotobukiya's Pinkie Pie Bishoujo statue, which was included at Hasbro's stand. 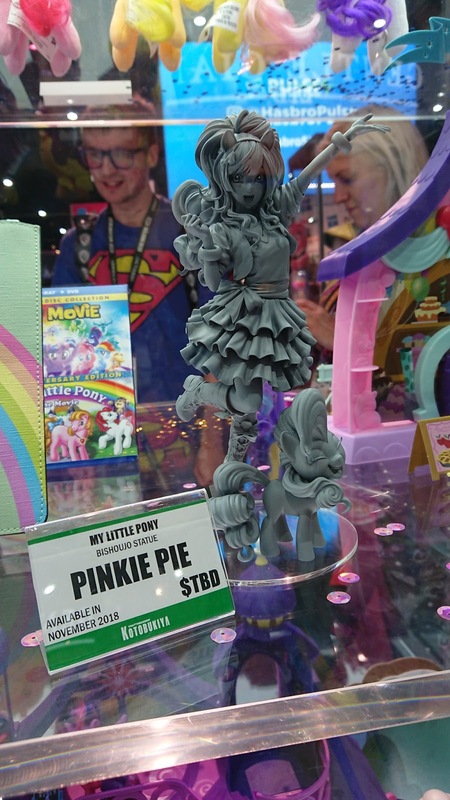 While it's still only gray PVC, we can clearly see all contours of the (supposedly) final design and how little it differs from the original concept art. 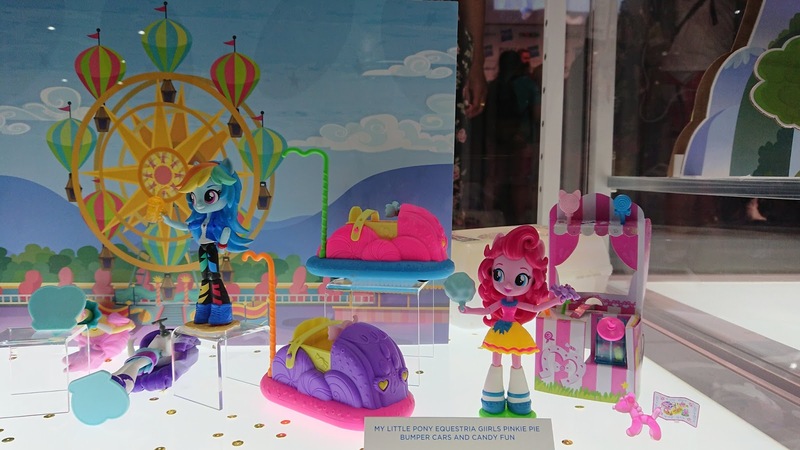 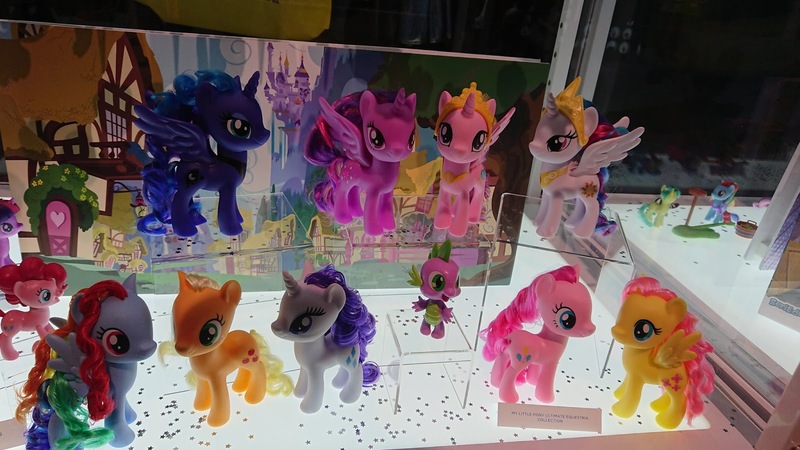 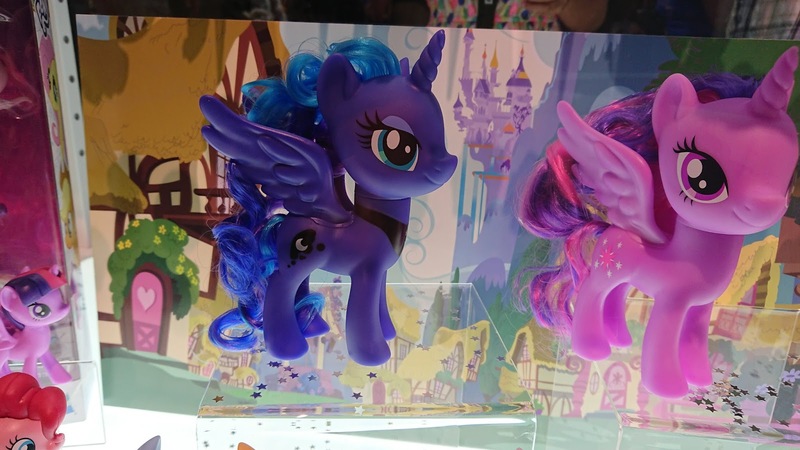 Also seen in a different display are the concepts of Fluttershy, Pinkie Pie and Twilight Sparkle, but you can see these in hi-res in our post from earlier today. 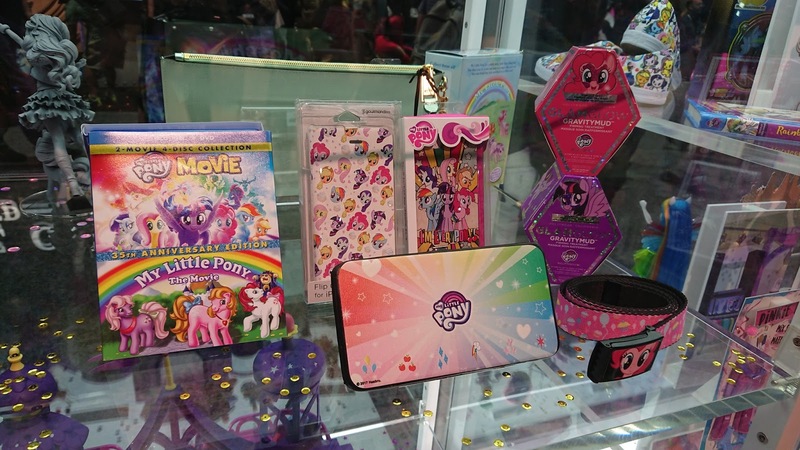 In the same display we spot a collection of 35th Anniversary items, including a My Little Pony the Movie 35th Anniversary Edition Blu-Ray & DVD set, with both the 1986 and 2017 movies. 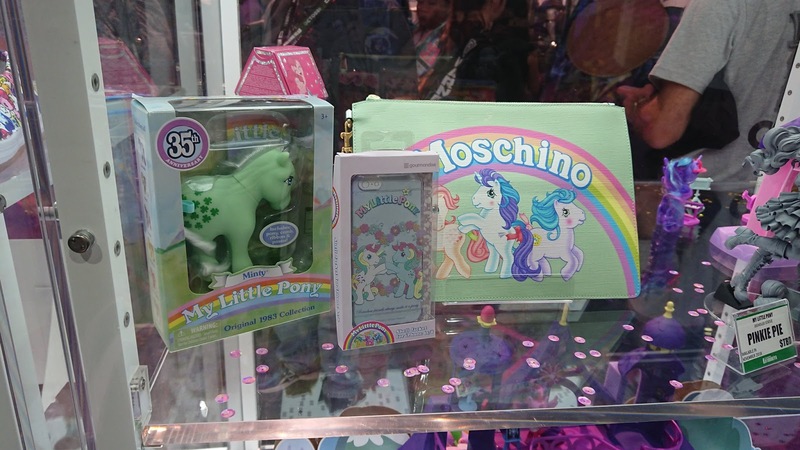 Various phone cases and make-up were presented too, as well as a G1 Moschino clutch and a 35th Anniversary Minty G1 pony. 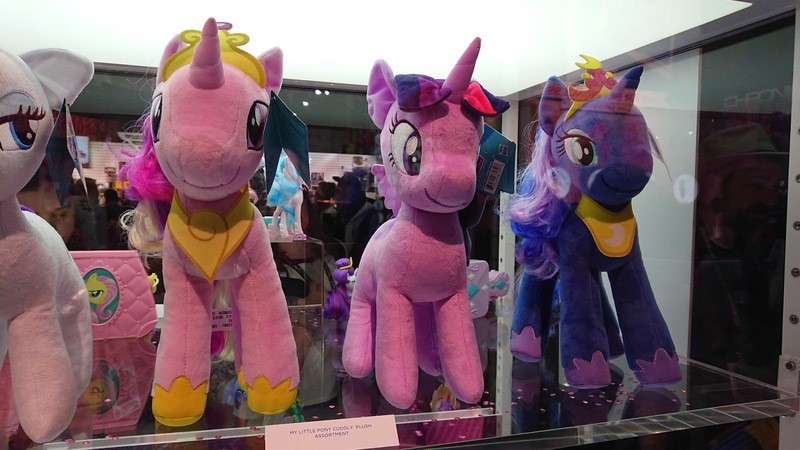 Once again, thanks a lot to Anto for sending these exclusive scoops from the convention to us! 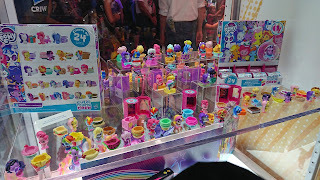 Thank you Anto and mlpmerch staff for helping us get a peek!! 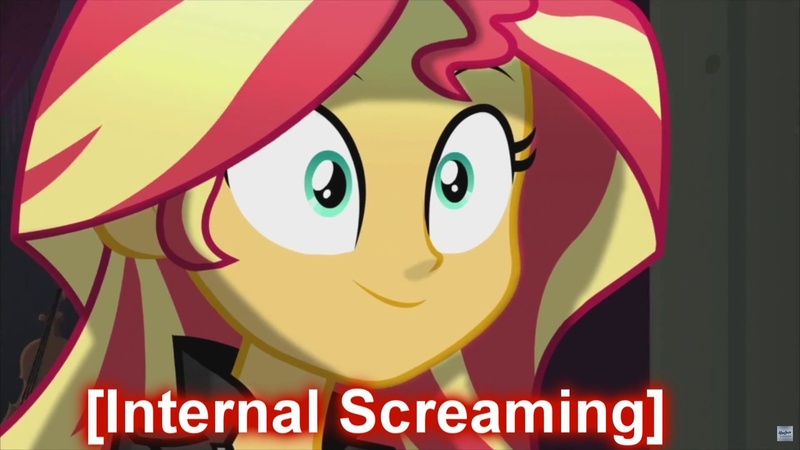 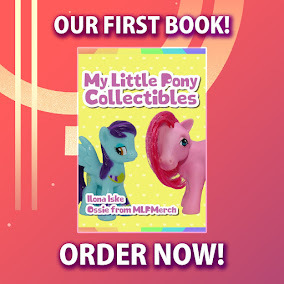 Disappointed to see the second Cutie Mark Crew series is mostly repeat characters, although I am glad we're getting non-sparkly Sunset, Cadance, and Vinyl. 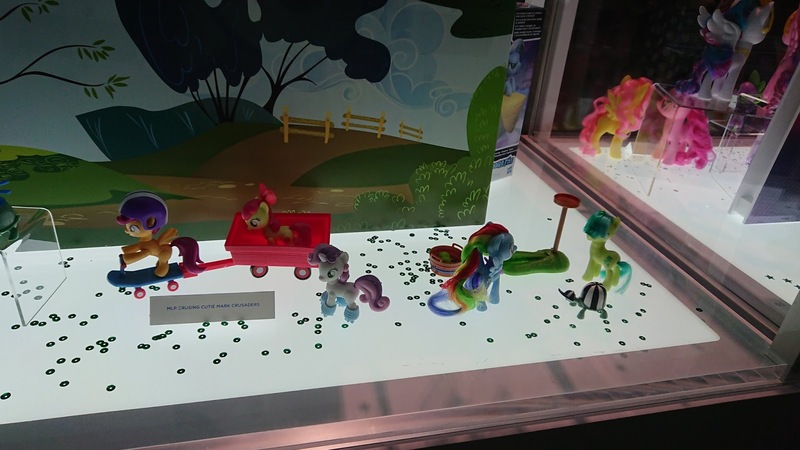 I just hope the line will continue next year and give us some better stuff. 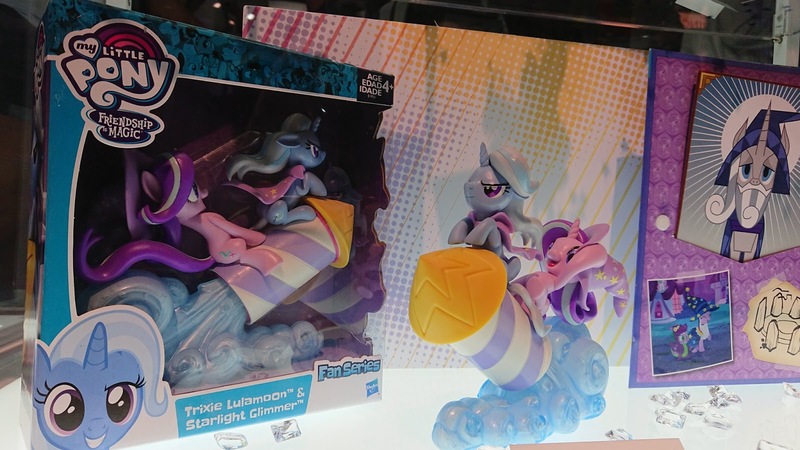 Did I just see starlight glimmer as a blind box! 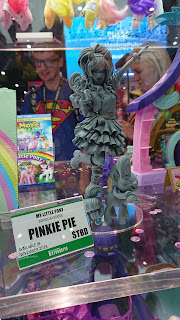 I want her! 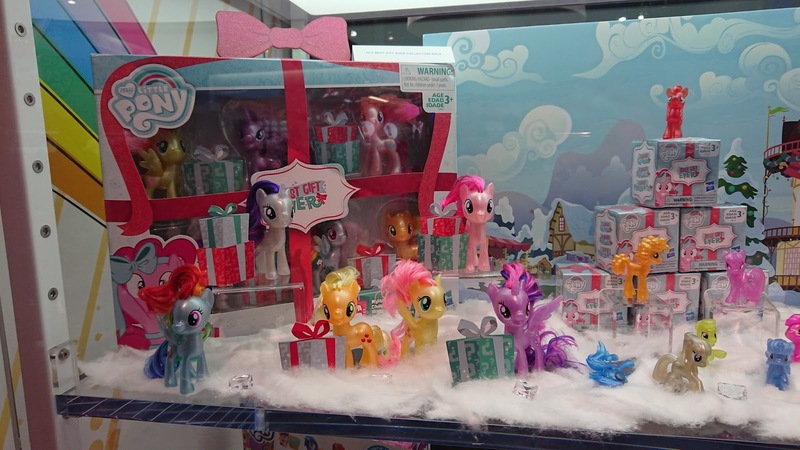 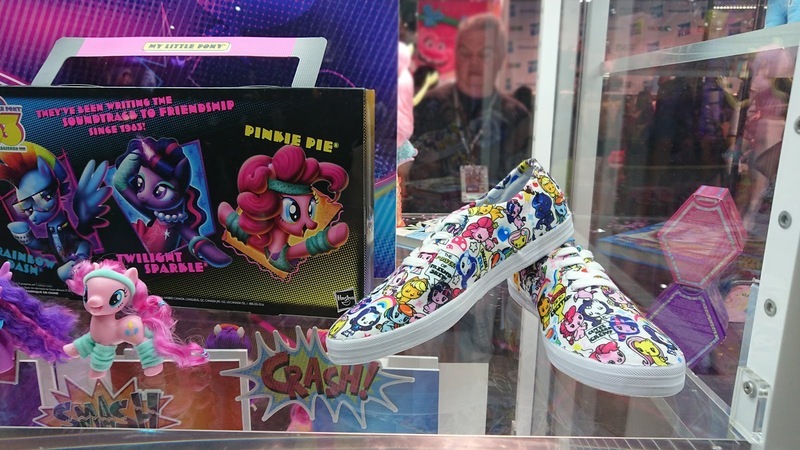 Hoping there are codes to the boxes since you can’t feel the shape of ponies on inside like with the bags.